A cultural theme tours to visit highlights of Cairo and a 4 nights Nile Cruise where the history of ancient Egypt comes live to your senses. Cruise the Nile in a manner once reserved for queens and pharaohs. For 8 adventure-filled days, experience Egypt and the Nile’s most wondrous sites in style and luxury. Arrival at the Cairo international airport. Assistance through formalities. Transfer to the hotel, overnight at the hotel. Full day sight seeing to visit the famous Egyptian Museum and its stupendous and unrivaled collection of pharaonic artifacts, including treasures recovered from the tomb of King Tutankhamun. Journey to Giza to gaze upon the mighty ancient Pyramids and the timeworn, enigmatic Sphinx—iconic images that continue to amaze and then Visit Khan El Khalili Bazaar which is agroup of legendary shops displaying Egyptian arts and handicrafts. (Optional) Sound and light show at the Pyramids Plateau Overnight at the hotel . Breakfast. Transfer to the domestic airport. Departure by the plane to Luxor. Transfer to the m/s Nile Cruise. Boarding before Lunch. Lunch on board. 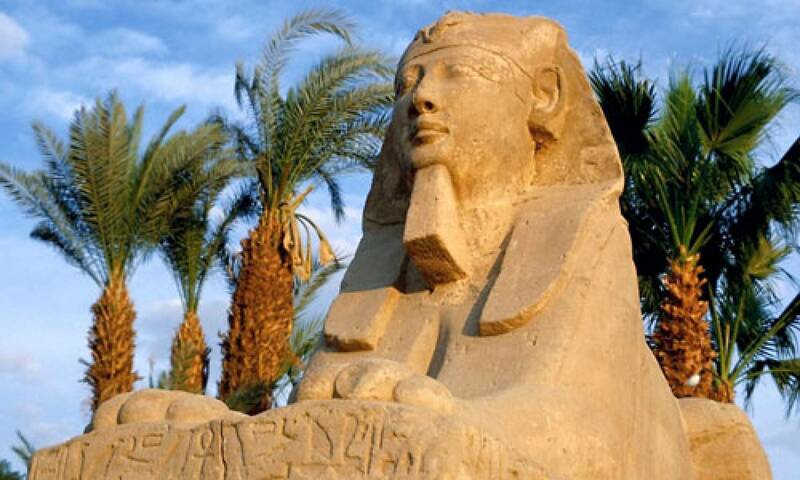 Visit the Temple of Karnak & the Temple of Luxor. Dinner on board. Overnight in Luxor. Breakfast. 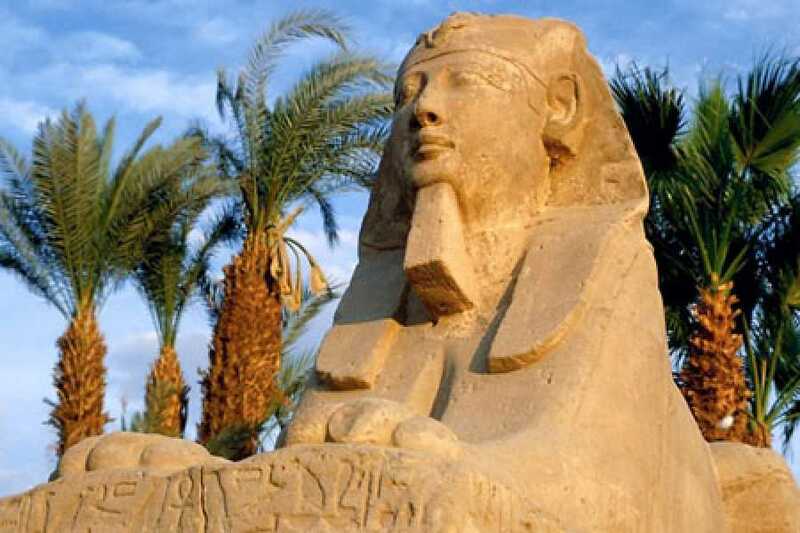 Visit The West Bank – the Valley of the Kings, Memnon Colossi and The Temple of Queen Hatshepsut at El Deir El Bahari. Lunch on board. Sail to Edfu. Overnight in Edfu . Breakfast on board. Visit the Temple of Horus in Edfu. Sail to Kom Ombo. Lunch on board. Visit the Temple shared by the two Gods Sobek & Haroeris in Kom Ombo.. Dinner on board. Overnight in Kom Ombo. Breakfast on board. Sail to Aswan. Visit the High Dam, the Granite Quarries & the Temple of Philae Lunch on board. Sail on the Nile by felucca around Kitchener’s Island and AghaKhan Mausoleum. Dinner on board. Overnight in Aswan. Breakfast on board. Disembarkation after breakfast. Transfer to Aswan airport and departure by plane to Cairo. Arrival, transfer to the hotel. (Optional) Cairo by night tour or sound and light show at pyramids plateau Overnight in Cairo. Transfer to Cairo airport for final departure .